If you’ve never been called a good listener and often miss some parts of your conversations with people, there’s no need to fret. In fact, your brain naturally predicts what will be said next, and this can pre-occupy you to the point that you miss what the other person is saying. The good news is that there’s a fix for this. 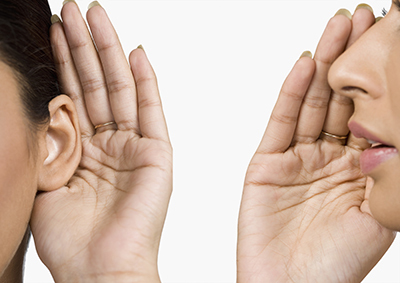 Listening effectively is an essential component not just in the workplace, but also in everyday life. 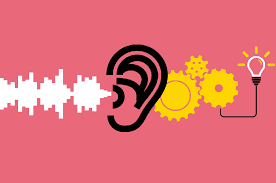 Active listening simply means what it is – an active engagement where the listener consciously listens to and understands what the speaker is saying. 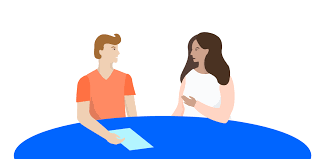 Active listening is also not being tempted to jump in with questions and comments, not instantly taking sides or forming opinions, and giving the other person enough time to formulate their thoughts and feelings towards the subject. •	Eye contact – Speakers find it encouraging for listeners to look at them, but it may be intimidating depending on the situation and the speaker. •	Posture – Active listeners tend to lean slightly forward or sideways towards the speaker while sitting. •	Mirroring – You can usually tell when a person is paying attention by whether they subconsciously imitate the speaker’s facial expressions. If they are consciously doing this, they’re likely to not be paying attention. •	Distraction – Active listeners tend to be focused and engaged with the person they’re talking to, and as a result tend to not fidget or look repeatedly at a clock, watch, or even at their phones. The first step you can take to developing this skill is by making the conscious decision to pay attention to what the other person is saying, even if you don’t remember all of it word for word. Even by asking relevant questions, remembering key points (or even just the speaker’s name), or paraphrasing what has been said, you can already show genuine interest in your conversation and positively reinforce the speaker. When you’re listening actively, you’re engaged in the conversation and providing a regular stream of feedback, and that’s enough to make the other person think you’re contributing – and in many ways, you are. Being engaged in your conversations isn’t just for good communication. It’s also for you to gather information, share ideas, and gain perspective and insight that other people are willing to share. While it takes time and practice to develop this skill, you work on it and reinforce it as a habit in your everyday life. When conversing with other people, you’re not really just listening, but to both understand and be understood at the same time.